A superior healthy hair treatment styler! 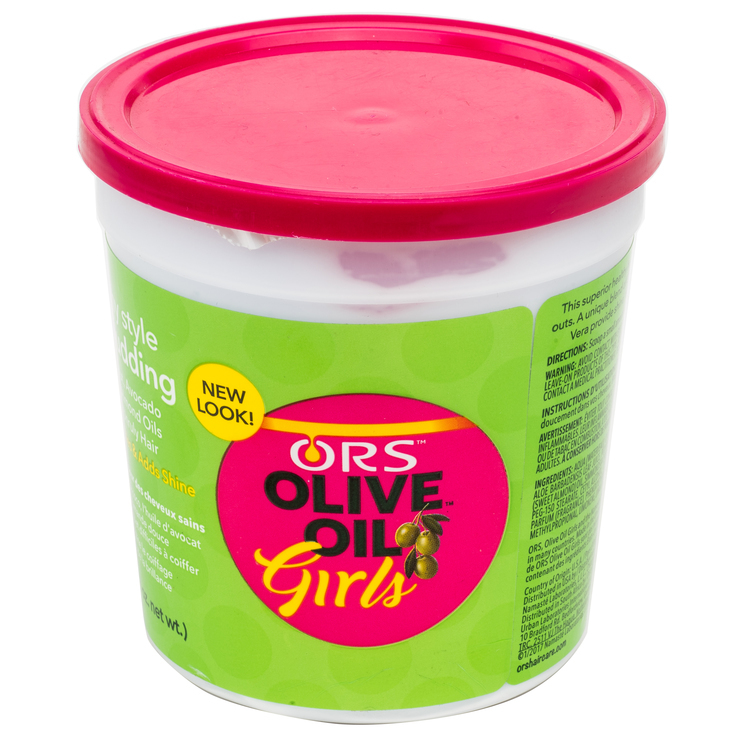 This hair pudding is perfect for ponytails, puffs, twists, twist-outs, braids and braid outs. A unique blend of olive oil, coconut oil, avocado oil, allow vera, sweet almond oil and jojoba oil provides shine, moisture, definition and touchable hold to all hairstyles while maintaining rich moisture and suppleness without flaking. For use on dry hair.Use daily to soften, moisturize and protect. Apply sparingly to hair to protect the hair from blow dryers and curling irons. Apply to the scalp and massage to moisturize the hair and scalp. Apply sparingly to the hair and scalp to strengthen damaged hair. Apply a liberal amount to natural hair as needed. Stop Use Indications: Avoid contact with eyes. If eye contact occurs, rinse with water. Hair is flammable. Flammability is increased when wearing leave-on products of this type. Keep hair away from sparks, flames or lit tobacco products at all times. For external use only. If ingested, contact a medical practitioner. To be applied by adults only. For external use only. Keep out of reach of children.